How do I remove a website from Ubuntu's web applications? I thought I would try out the new webapps ppa and everything seems to be working fine. However, google reader now floods my messaging menu with all my feeds and turns the icon blue. How can I remove a specific site (google reader) from accessing webapps after I have accepted it? Go to the Software Center and search for the specific web app and uninstall it. E.g. Press Alt + F2 , run dconf-editor. Now go to com → canonical → unity → webapps. Edit Allowed domain value and remove the undesired entry. How do I disable unity webapps notifications from popping up everytime I visit a supported webpage? You'll now see a list of all the web apps supported by the Unity desktop. 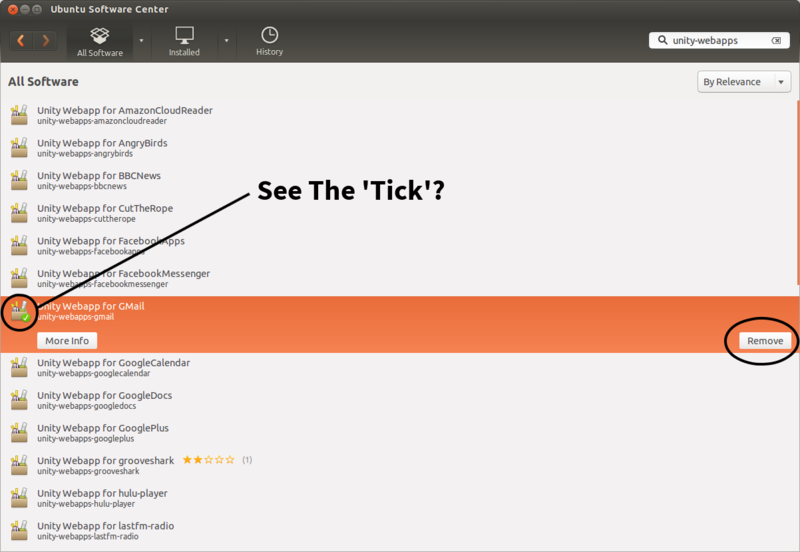 Web apps you've installed will have a tick mark on them, and from there installing/removing web apps should be goddamn easy! WARNING! Do NOT remove the unity-webapps-service package (titled "Service for Web Apps integration with the Unity desktop"). This program runs the Desktop service used for Web Apps integration with Unity desktop. The .desktop files for these web applications are located in ~/.local/share/applications. Removing these files (e.g. Googleplusgooglecom.desktop, LinkedInlinkedincom.desktop) will immediately remove the entries from the messaging menu. There definitely needs to be an easier way, but for now, you can use dconf-editor and remove the URL from the "allowed-domains" list at com → canonical → unity → webapps. If you have already «removed» the webapp with dconf-editor or unsettings and it still shows on the dash, then you have to manually delete it. Search the «desktop» file you want and delete it. In the "Web apps" tab remove the undesired domains from the "Pre-authorized" (1) or "Enabled" (2) fields (that are the allowed-domains and preauthorized-domains entries in dconf-editor) and at them to the "Disabled" (3) field, if you do not want to be asked for them any more (dontask-domains in dconf-editor). 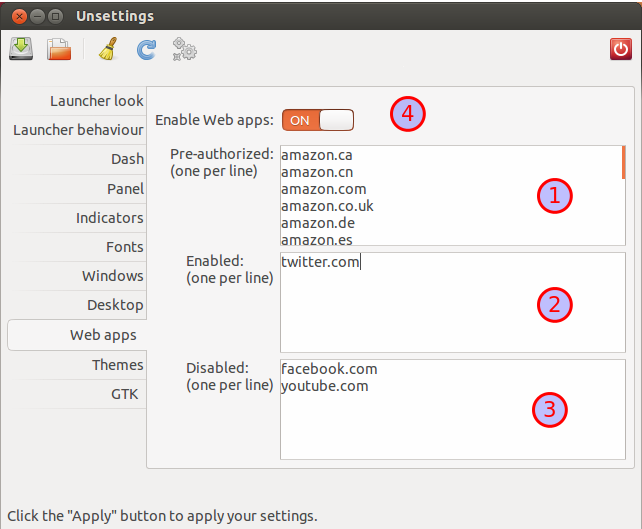 Use the "Enable Web apps" switch (4) to switch off the whole web apps support. Drag the webapp from the dash to the trash icon. Works for me. --purge is important if you want a complete uninstall (for instance to remove the tray icon). Not the answer you're looking for? Browse other questions tagged webapps or ask your own question. How to remove the web app shortcut created by chromium? Is there a GUI way to see what webapps I have installed? How can I globally disable Firefox's webapp prompts? How do I remove a site's desktop integration done via Ubuntu webapps? How do I uninstall a unity web app? How to remove Launchpad app/webapp? Visiting launchpad.net in browser causes icon to appear in launcher, how do I remove it? How do I delete a webapp created using Unity Webapp? 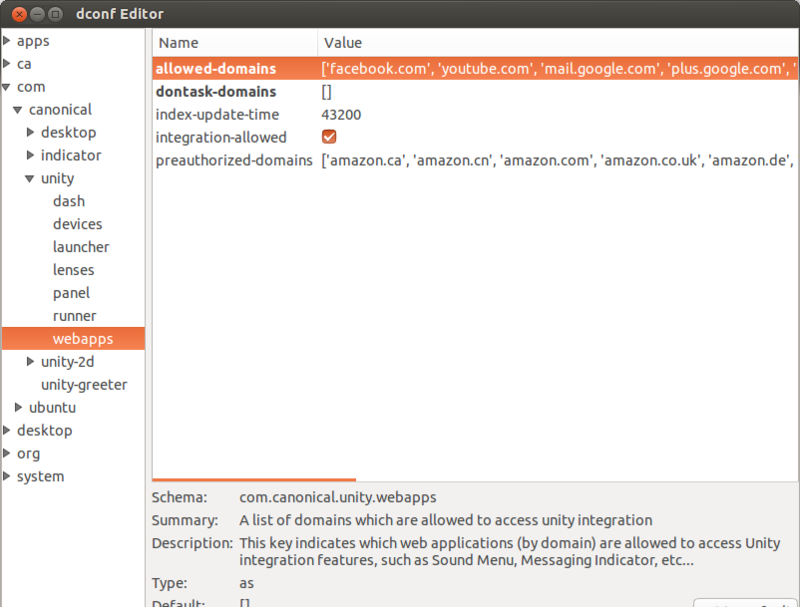 How do I use Ubuntu's web application integration? How do I completely remove web apps? How to manage “Unity WebApps Chromium extension” different options? How do I report bugs on unity-webapps-preview? 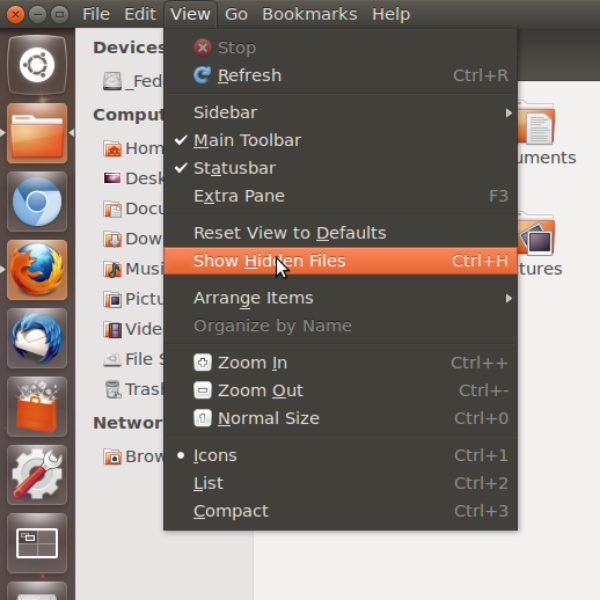 How to add a Web App to Ubuntu's repositories? How can I remove Unity web apps? How to remove omgubuntu web app from ubuntu? How to run gui application from web app?